The Chinese New Year is celebrated world over to pay homage to the Chinese traditions, usher in the New Year and praying it brings more happiness, prosperity and sustenance. The Chinese people take the opportunity to gather and meet with their loved ones and relatives and spend time with them. Another tradition that is important is cleansing the home so that any ill-fortune is swept away making way for good fortune and prosperity. 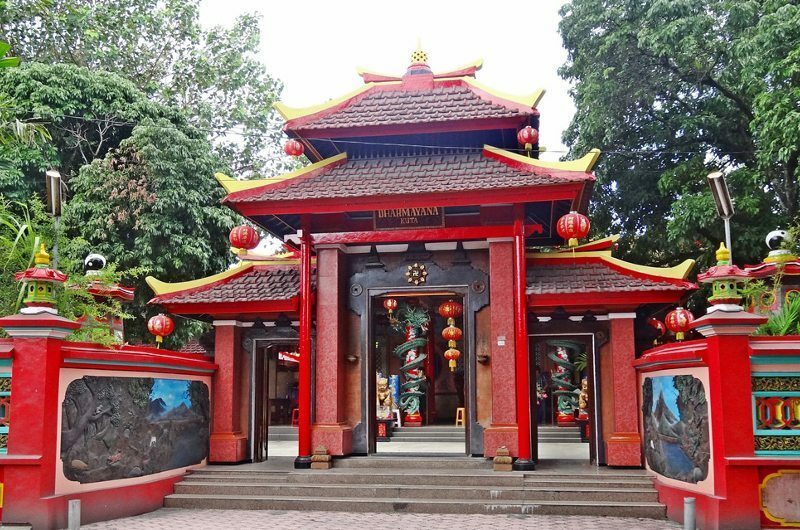 Vihara Dharmayana is a Chinese temple in Kuta that you can visit to witness the amazing celebrations, colours and culture. You will get to see Barongsai dance, prayers, Dragon dance and fireworks; an absolute must see part of the celebrations. A few other temples in the Singaraja region and Denpasar are worth visiting for the festivities. Be sure not to wear black or white as it is considered bad luck; wear your flashiest red or yellow instead! Shades of red, yellow and golden are the favourites for the Chinese New Year and dominates all the activities. All the temples and streets seem magical in the night aglow with all the lanterns, candles and lights. You should definitely visit one of the temples with your family; the music, cheering, the Barongsai dance and Wushu martial arts is very exciting and the kids just love it. With 9 Restaurants and 5 bars on property our guests are spoilt for choice. We have a diverse range of restaurants each offering their own individual styles serving quality food at affordable prices. Maharani Beach Hotel represents outstanding value offering quality accommodation with a select range of hotel facilities and services. With an incredible location next to the world renowned Kuta surfing beach you are surrounded by options to immerse yourself in all that Bali has to offer. Situated on the corner of Poppies lane 1 and Jalan Pantai Kuta, just 15 minutes from Bali International Airport. Maharani Beach Hotel is walking distance to a huge selection of shopping options, restaurants and just 200 metres from the new Beachwalk Entertainment Complex. Samsara Hotel Bali has a modern tropical colonial design with stylish architecture highlighted by fresh sleek interiors. Samsara offers a serene child free environment and has also implemented a no smoking policy throughout the hotel premises and FREE WIFI in rooms. We have a spa and warung restaurant directly opposite our hotel. Located in Jalan Legian Bali. Just up from Bemo Corner. The beach is 500 meters via Jalan Pantai Kuta. Coast Boutique Apartments exemplifies the quintessential value for money experience for holidaymakers visiting Bali, the Island of the Gods. Located a short walk to the world famous Kuta Beach, a stone’s throw from some of Bali’s most revered shopping and waterfront dining hot spots, and just twenty minutes drive from Bali’s International Airport, Coast Boutique Apartments offers guests beautifully appointed, modern accommodation coupled with bespoke and attention detailed service guaranteed to please.